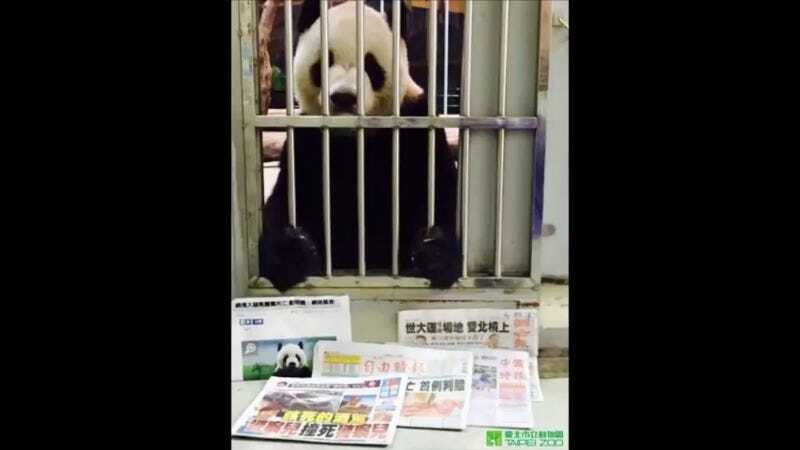 Despite appearances, this panda has not been kidnapped and held for ransom. Taiwan’s Taipei Zoo is just trying to debunk rumors that their beloved Tuan Tuan has met with an untimely death. He’s fine! The website of China’s official Communist Party newspaper Global Times had reported the panda died of canine distemper, sending the story racing across the Chinese-language Internet. The paper later retracted the story and apologized for not checking its facts, a potentially egregious error given the political sensitivity surrounding the panda pair. And for the last time, Tuan Tuan is fine, Yuan Yuan is fine, and their baby Tuan Zai is fine! “We welcome everyone to visit them at the zoo,” said Director Chin Shih-chief.